• View topic - Generation Three for the DS? 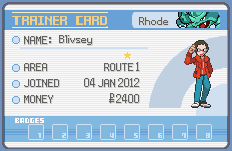 Generation Three for the DS? Post subject: Generation Three for the DS? I haven't heard a thing about this. Can anyone confirm if this is real or a trick? 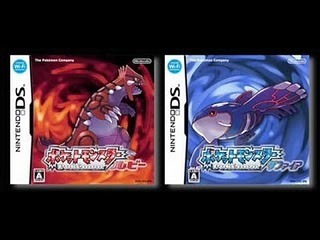 Post subject: Re: Generation Three for the DS? The image could easily be Photoshopped, hard to tell when it's that small though. Anyway, while it totally wouldn't surprise me if they decided to remake R/S for the DS (possibly even for their next project), I haven't heard anything it about from any reputable source so I'm gonna say it's fake. Definitely fake. Those pictures of Kyogre and Groudon have been used before in earlier generations. Wouldn't Nintendo obviously make some new pictures if they were going to remake R/S? Should the first thing revealed about a game EVER be boxart? Trust me, an official GameFreak announcement will be made if they plan on Generation 3 remakes. Considering Nintendo's big press conference yesterday didn't include anything about it, definately fake. But, like I said before, it'll probably happen sooner or later.